Bright Star Butterfly Cut-outs Bouncer | Pink | The automatic bouncer provides a gentle bouncing motion. 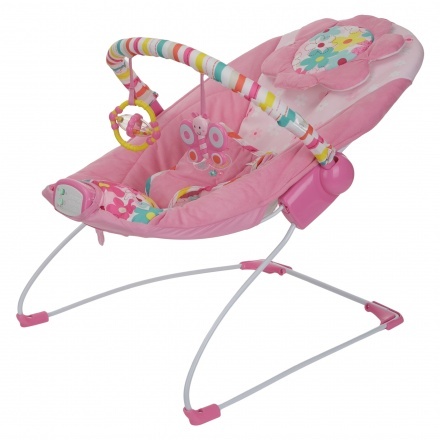 Delight in seeing your little darling have a good time on this adorable butterfly bouncer. It sports a removable toy bar with plush toys for entertaining your baby while the washable seat pad ensures easy maintenance. 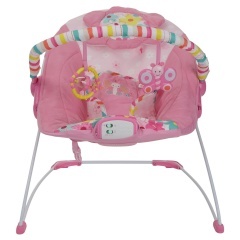 Feature 1 : The automatic bouncer provides a gentle bouncing motion. Feature 3 : It is made from metal and fabric. 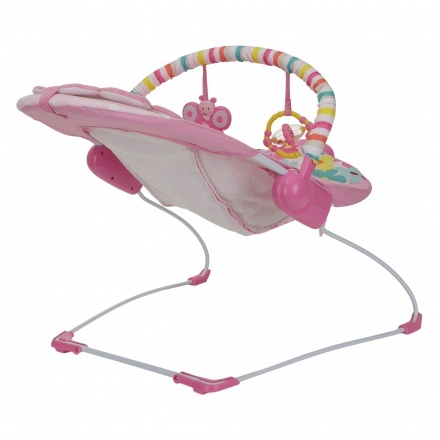 Feature 2 : Features a 3-point harness system for better protection and can hold up to 9 kgs.